Pekiti-Tirsia Kali (PTK) is one of the oldest Kali-Systems in the Philippines. It originated in the central region of the Philippines, in the province of Negros Occidental. Pekiti-Tirsia is currently the only Kali system recognized by the Philippine government. As a result, it’s used to train Force-Recon Marine Battalions of the Armed Forces of the Philippines. In addition, it’s taught to the Special Action Force (SAF) contingent of the Philippine National Police (PNP). With its cultural and philosophical values Pekiti-Tirsia’s history traces back more than 1500 to 2000 years. The Pekiti-Tirsia system of Kali is the family system of the Tortal Family and was founded in 1897. 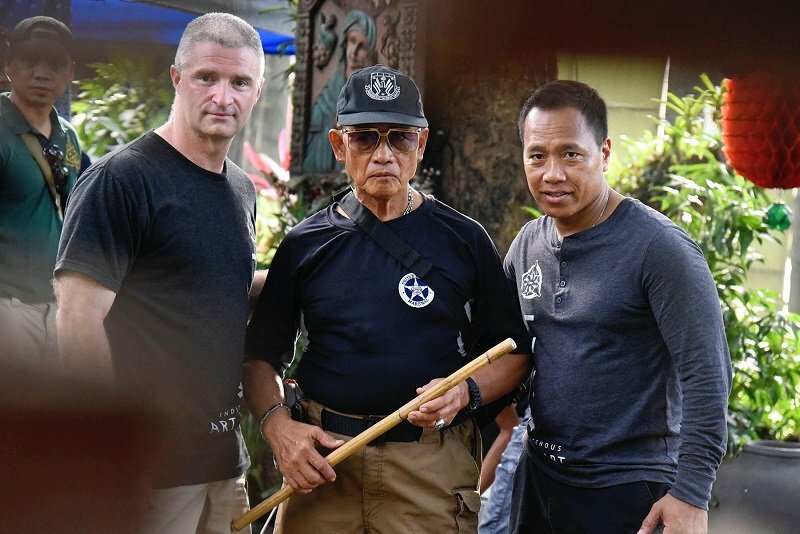 Leo T. Gaje Jr. is the grandson and heir to Conrado B. Tortal and is the present Keeper of the Pekiti-Tirsia Kali System. Pekiti-Tirsia’s movements are based on the traditional blade art of the Philippines. These movements involve broken, fluid and circular motions. In addition, PTK incorporates triangular movements; which combined with footwork, allows one to move very quickly and destroy their opponent. Understanding concepts rather than memorizing techniques. Awareness to: surroundings and environment. Learning how to fight in different ranges: long to medium range, medium to close range and even into ground fighting. Counter offensive striking as defense when your unarmed. Striking as a means of countering against an attacker armed with sticks, blades, or firearms. Using counter offense as a means of defense against single or multiple opponents. Economy of motion is particularly important and necessary in any combat situation. You never want to waste time or energy. When you’re training in a martial art and particularly a combat art, you must perform thousands of repetitions of that movement for it to become reflexive or a habit. The PTK system is designed so that once you learn how to fight with and against someone armed with a blade, you can apply those same training methodologies against an attacker when unarmed. As a result, this training process requires you learn one set of fighting principles and movements and allows for time management. Using the same motion against an attacker whether they have a weapon or not is itself economy of motion.